When you contact us, we will provide a brief description of services, philosophies, methodology, and fee structure. We will direct you to our web site to help you learn more. If our services appear to fit your needs, we will ask you to complete our Confidential Questionnaire and schedule a Get Acquainted Meeting. During this initial meeting, we review your completed Confidential Questionnaire to learn more about you, what you plan to accomplish and to gauge the scope of needed services. This is an opportunity to exchange information about your needs and objectives, to further discuss which of our services are right for you, and to provide you an estimate of the cost of our services. We do not receive commissions from the sale of investments or insurance products. Our fees are based only on the amount of time spent evaluating your financial situation and meeting with you to provide specific recommendations. 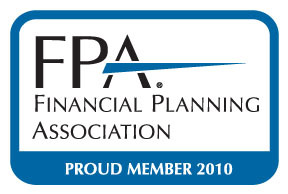 After receiving your information, we will begin to review and develop your custom financial plan. We will prepare initial reports that we will discuss with you at your next meeting. You will need to gather and return the requested data to your advisor. This information will be analyzed and used in the formulation of your customized financial plan. Depending on your individual circumstances, this meeting may or may not be necessary. If it is, it can be in person or by phone. The advisor will work with you to further discuss and clarify the information you have provided thus far, and to refine your financial goals and objectives. This is another opportunity for you to clarify your current situation, financial goals and objectives, and to discuss with your advisor any additional questions and concerns. Your advisor refines the information you have provided and studies various plan scenarios. We conclude our research and analysis, and produce the final reports that include observations, assumptions, specific recommendations, and an action plan for your unique situation. All you have to do at this point is await your next meeting with your advisor. You and your advisor review your personal financial plan and our specific recommendations. Congratulations! You now hold your personal blueprint for financial success designed with your financial goals in mind. You are empowered with specific recommendations to implement your financial plan. If you wish, you may employ us further to assist you in carrying out that plan. Your advisor will provide you with an action plan which will include periodic review. Periodic update meetings and reviews are essential to maintain good fiscal health. You will be encouraged to contact our office to schedule periodic reviews or as the need arises. Financial planning is an ongoing process, not a one-time event. Proper implementation of a financial plan and periodic professional reviews are crucial to reaching your financial goals. We urge prompt attention. It’s about your financial future. Content copyright 2016. G-Squared Advisory. All rights reserved. A financial plan, by itself, cannot assure that retirement or other financial goals will be met. Securities products are not FDIC insured, have no bank guarantee and may lose significant value. Services are intended for individuals residing in the United States, however, all products and services may not be available in all states. This is not an offer to buy or sell securities, which can be done by prospectus only. This document may only be reproduced with the express written permission of G-Squared Advisory LLC. Financial planning advice is given only pursuant to a written agreement with G-Squared Advisory LLC.